How many of us have done something as simple as bending over to pick something up…then on the way up the big catch in the back happens? Now, as the day progresses we slowly get tighter, stiffer, sometimes we can not even take a deep breath because of the pain. When a “back attack” happens it is absolutely miserable!! I have been there myself…the older I got the more often the “back attack” would happen. No matter how hard I tried to be careful about every 3 months…”back attack”! Sometimes, it would take two weeks for me to be able to straighten up again and be somewhat normal. Sudden onset of muscle spasm in the low back is surprisingly common. In fact, approximately eight out of 10 adults will experience it at some point during their lives. Muscle spasms are involuntary, spontaneous contractions of a muscle. 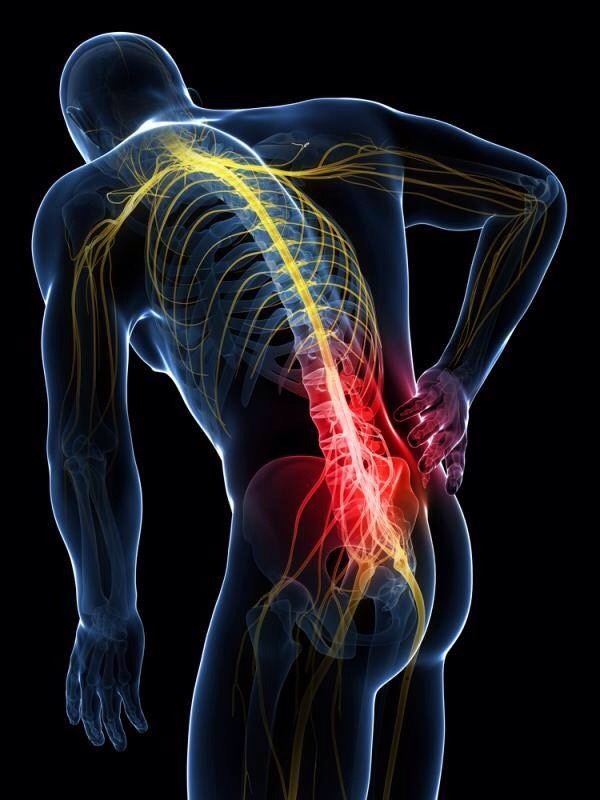 Although “back attacks” seem to occur out of the blue, the movement that triggers the incident is generally preceded by a series of small strains to the structures of the spine that develops slowly, over time. Once injured, inflammation sets in. This, in turn, sensitizes the nerves, causing the muscle/s to contract and spasm. The pain can be quite debilitating! Treatment for “back attacks”…ice as soon as possible. This will help cut down inflammation. Ice for only maybe 10-12 minutest every 2-4 hours for the first day or two. After the first 24-48 hours apply moist heat. I like an ice treatment immediately followed by a heat treatment. The heat will help muscle to relax. I also like to do an Epsom salt soak followed by gentle stretching since the muscles should be relaxed after the soak. How to PREVENT BACK ATTACKS! There is only one way… The back has got to be stretched and strengthen! “Back attacks”, in most cases happen from weak musculature and weak core muscles…period! Do Not run to the gym and start doing crunches or lifting weights! Your body is not prepared for that as of now. FOUNDATION TRAINING is the answer. I know what I am talking about. FOUNDATION TRAINING is designed to target the posterior muscles and the core. This is the key to having a healthy back…this is a fact! I have not had a “back attack” in 2 years…that’s how long I have practiced FOUNDATION TRAINING! Do something different. If you really want to end back pain…learn FOUNDATION TRAINING! Stretch and strengthen the muscles that are in charge of back duty…the muscles that keep us upright…the muscles that protect our spine. FOUNDATION TRAINING works! Contact me if you are ready to end your back pain and learn how to take care of your back. This entry was posted in articles, Foundation Training and tagged back pain, epsom salt bath, Foundation Training, ice/heat treatment, posterior chain, spasms, stretching, tight muscles. Bookmark the permalink.